The Worst Montreal Canadiens Team of All Time? The Worst Canadiens Team of All Time? Instead of learning from their first-round playoff exit last year, the Montreal Canadiens have bottomed out as one of the worst teams in the league from day one of the 2017-18 season. They need a long hard look in the mirror and shouldn’t like what they see. The fans don’t. Is this year’s incarnation of the Habs the worst in franchise history? That was a question on TSN 690’s morning show with Conor McKenna, Rick Moffat, and Shaun Starr. To ask the question is to concede what we all know: this is a bad team with a terrible record. But is it really the worst team in franchise history? The answer is yes. At least in modern history. The Canadiens started the season with a 1-6-1 record, matching their worst eight-game start in 76 years. Not since 1941-42 has the team started a season so poorly. They have been shut out 11 times this season, the most in franchise history. Last week, against the rival Toronto Maple Leafs, the team allowed 26 shots in one period, again the most in franchise history. They have lost 23 road games in regulation, another franchise record. In a league where scoring is at a premium, the team’s scoring differential is abysmal with 180 goals for and 224 goals against, which is on pace to be the worst in franchise history. The stats provide one view, of course. An honest assessment of the roster provides another. The Canadiens lack talent at center and are slow on the blue line and there is no silver bullet in the pipeline. Injuries and poor player management mean that the organization’s best prospects, like Victor Mete, are in the Habs lineup. Things are so bad, the Brampton Beast of the ECHL may be regretting their affiliation with Montreal. 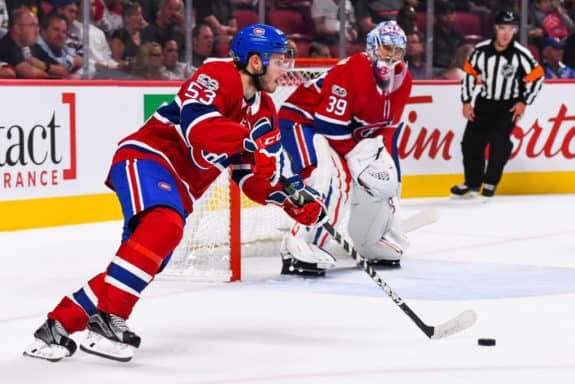 It has turned into a one-way deal with the Laval Rocket taking players to replace those called up to the Habs. The Rocket have not sent a skater to the ECHL since October and, as a result, the Brampton Beast are at the bottom of the North Division outside of the playoff picture. There are only two other teams in recent memory that could compete with this team for the dubious distinction of being the worst in franchise history. The 2000-01 team was another horrendous team. They finished in last place with a 28-40-8 record. They scored 206 goals and allowed 232. The franchise missed the playoffs for the third consecutive season while Saku Koivu and Oleg Petrov led the team with a measly 47 points each. This is the team that many consider the worst since 1950. In terms of wins and losses it was. Like this year, the team suffered through injuries to key players with more than 500 man-games lost. The Habs dressed 42 different skaters and four different goalies in that season. Unlike this year, however, injuries were not used as an excuse. Poor performance led to organizational changes. General Manager and Coach Rejean Houle and Alain Vigneault were fired early in the season and Andre Savard was made the new general manager and Michel Therrien became the head coach. 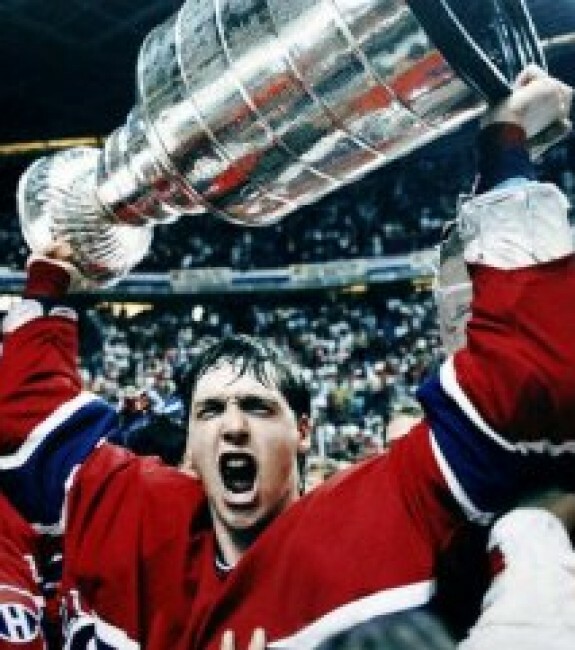 In the shortened NHL lockout year, the Canadiens struggled and ended the season with an 18-23-7 record. Worse than that, they won only three of 24 games away from the Montreal Forum. The lack of offense was a key problem that season, prompting two significant trades. The first, on Feb. 9, 1995, the Habs acquired forward Mark Recchi from the Philadelphia Flyers for Eric Desjardins and John LeClair. 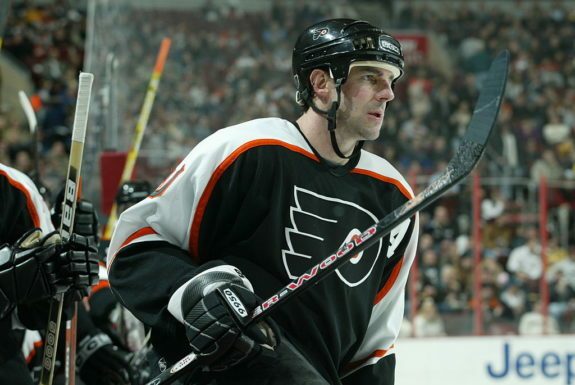 While Recchi was good, LeClair went on to become an All-Star power forward alongside Flyers superstar Eric Lindros. 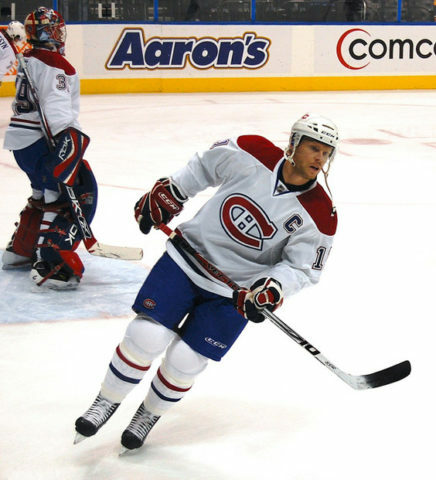 The second occurred when Kirk Muller and defenseman Mathieu Schneider were traded to the New York Islanders for Pierre Turgeon and Vladimir Malakhov. It didn’t work out. That year, the Habs missed the playoffs for the first time since 1970. Martin LeMay on TSN 690 suggested the early 1980s were tough years. While the Canadiens went from best in the league to merely average, these were far from bad teams. Despite the retirement of several key players, the Canadiens still won the Norris Division in 1980 amassing 107 points with a 47-20-13 record but lost in the second round of the playoffs. In 1981, the Canadiens won their 7th straight division title with a 45-22-13 record but were beaten by an up and coming Edmonton Oilers team led by Wayne Gretzky. In 1982, the Habs again made the playoffs and again exited early. This was also the case in 1983, 1984 and 1985 before the Habs made the Stanley Cup Finals in 1986. They beat the Calgary Flames in 5 games to claim their 23rd Stanley Cup setting a professional team sports record for most championships won. The idea that a team that makes the playoffs five years in a row is considered bad is laughable compared to today’s version of the Canadiens franchise. I would laugh but I’m too busy crying.